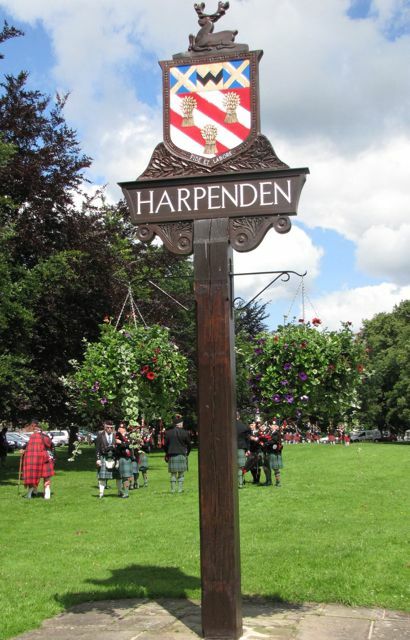 How Harpenden business contributes to the life of the Town - a Survey by Chris Marsden, Chairman, The Harpenden Society. The chairman was asked to speak at the Harpenden Business Breakfast Club meeting on 21st February 2012 on his experience of working in the field of corporate social responsibility as well as the latest developments in the Harpenden Society. As a way of connecting these two themes, he carried out a simple survey of a cross section of Harpenden businesses, asking them how they contributed to the life of the town. In these days when there is so much deserved criticism of businesses, especially of the banks and large companies, that have taken a free ride on the social costs they have inflicted on the rest of society, it is important to recognise positive social contributions when they are made. Most accounts of the social responsibility of business relates to large companies. What this survey shows is that there is a great deal going on at the local level not just by the local outlets of large chains but also by independent local businesses. This deserves greater recognition and encouragement. Click on this link to download the complete Harpenden Business Survey 2012.